Michelské pekárny Premium s.r.o. is a modern food company, which is one of the most prominent producers of bakery and confectionery products in the Czech Republic, mainly in the capital Prague. 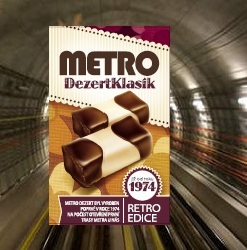 It began its operations in the year 1975 as the first industrial bakery in Prague. From the very outset it made an excellent name for itself with its customers, which was primarily due to the consistently high quality of its products. At present the company employs about 300 people and its capacity is capable of supplying almost half of the capital of Prague. A proportion of its long shelf life products and specialities are delivered to every location throughout the Czech Republic. In particular, an outstanding feature of its commercial activities is the fact that it focuseds on large retail chains and supermarkets, as well as on operating its own network of sales outlets. 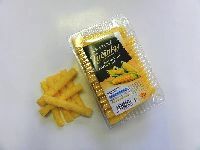 Michelské pekárny Premium is one of the largest producers and suppliers of Crisp Breads in the Czech Republic. A lot of people needs some gluten diet (coeliac disease) or they want to be slender and looked healthy - so these slices are the best. Very good with spreads, cheese, salads and vegetables for breakfast, easy lunch or tea. Product, very suitable for children, for quick refreshment, for traveling. Long shelf life. Gluten free. Last new introduction in our product portfolio. Sweet taste, with higher content of icing. For quick hospitality, excellent for children. The only producer of these desserts in the Czech Republic. We offer sweet desserts in classical flavour (almond). For quick refreshments and hospitality for children and adults. Company is well positioned in the market segment bakery. We offer a wide range of products. We introduced HACCP food control system. Certificates IFS, BRC, ISO. 35 years of experience in the bakery industry provides for sustainable growth. Problem solving, flexibility and customer targeted operations remain our key success factors. In the company philosophy, the development and production of an up-to-date portfolio of goods of hifh quality plays a primary role. This effort has been rewarded by various fair prizes.